A clear nutritional profile will help give you a clear view of the overall state and health of your body. The ION profile measures a number of factors, including fatty acids, amino acids, vitamins, and antioxidants. This information can help generate insights into deficiencies that may be negatively affecting your overall health. In conjunction with nutritional counseling, the information provided by the ION profile can help identity and lead to treatment for a number of ailments and chronic illnesses. Vitalia Healthcare of Vancouver provides a Sample Profile for interested individuals. The ION profile is a complete evaluation of functions that can impact a patient’s mental and physical well-being. 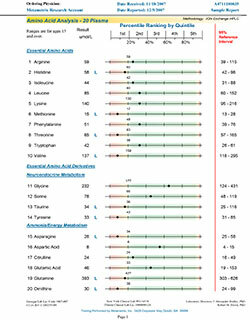 There are a number of profiles included in ION testing, including an Organix Profile, which helps find metabolic and nutritional impairments, Amino Acid Profile, which can reveal essential amino acid imbalances that have a negative impact on mental and physical function, and Nutrient and Toxic Element Profiles, which help identify a patient’s mineral and toxin status. It also includes a Fatty Acid Profile, which helps to identify the right balance of fatty acids for the body. Other profiles include the Antioxidant Vitamins Profile, which is used to measure vitamins required for antioxidant functions, Lipid Peroxides Profile which measures the total serum peroxidation or free radical activity in the body, and the Coenzyme Q10 Profile, which measures the total body status of energy pathway cofactor and antioxidant nutrient. Finally, the Homocysteine Profile is used to identify elevated levels of homocysteine, which is a risk factor for cardiovascular disease. Located in Vancouver, Vitalia Healthcare offers highly effective ION (Individual Optimal Nutrition) Profile testing for patients interested in getting a clear nutritional profile. The ION Profile has been found extremely helpful in diagnosing a full scope of illnesses and diseases. Patients with heart disease may have deficiencies in fatty acids, magnesium, carnitine, and other crucial elements. Once an ION Profile has been performed, depleted nutrients can be added to the diet for both prevention and treatment. Individuals who are overweight or obese may also suffer from various nutritional deficiencies. ION testing allows medical professionals to determine which supplements are needed for dietary improvement. Other disorders, such as immune system disorders and chronic fatigue syndrome, often involve multiple deficiencies, from amino acids to zinc. Once the specific depleted nutrients are revealed by the professionals at Vitalia Healthcare in Vancouver, these deficiencies can be supplemented for better overall health. Children with developmental delays have also seen success after ION testing, as well as individuals who suffer from mood disorders due to underlying biochemical imbalances. Testing is the first step to feeling better and getting the nutrients that your body craves. The ION Profile is an invaluable tool used to reveal whether something is lacking in your nutrition, interrupting your energy levels and causing physical and mental ailments. This testing measures a number of different things to ensure that all bases are covered. In general, your ION Profile will measure the levels of amino acids, homocysteine, fatty acids, organic acids, toxic and nutrient elements, antioxidant vitamins, and vitamin D. After the test results are completed, an optimal nutrition regimen designed to meet your individual needs will be recommended by our team at Vitalia Healthcare of Vancouver. This will include any supplementation recommendations designed to help your problem areas and give you a better sense of wellbeing and health. Located in Vancouver, Vitalia Healthcare offers a wide range of natural healthcare solutions, including our comprehensive ION (Individual Optimal Nutrition) Profile testing. 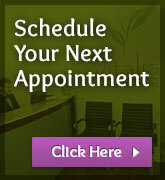 For more information about any of our services or to schedule your appointment today, call us at 1-604-566-WELL (9355).